Minister for Waterways Mahendra Reddy has solved the drainage worry at Adi Elaine Primary School in Bua. Mr Reddy visited the school yesterday with his team as part of his Northern tour this week. Mr Reddy said they wanted to solve the problem as soon as possible. “Now that we have come to the school and seen the problem we have come up with the solution and that is to have another outlet and a flap gate,” Mr Reddy said. The Waterways engineers have scoped the area where the new outlet will be built. Batinivurewai Advisory Councillor William Brown said the visit by Mr Reddy and his team meant a lot to them. “The minister has seen the drainage problem the school faces and he has come up with possible solutions to overcome this problem once and for all,” Mr Brown said. Bua assistant District Officer, Apisai Vularika, outlined to Mr Reddy areas in Bua that needed the ministry’s assistance at a briefing at Naulumatua House in Nabouwalu yesterday. “In Bua there are three villages that needed seawalls and they are Kiobo, Natokalau and Nasavu village. Namuavoivoi village, Bua Loma-ni-koro, Kiobo village and Ask Elaine Primary School have been suffering due to drainage problem,” Mr Vularika said. Mr Reddy said they would try their best to solve the issues that were raised. “We will look into the drainage problems in schools, villages and settlements as our top priority. Seawall will be the last one,” Mr Reddy said. 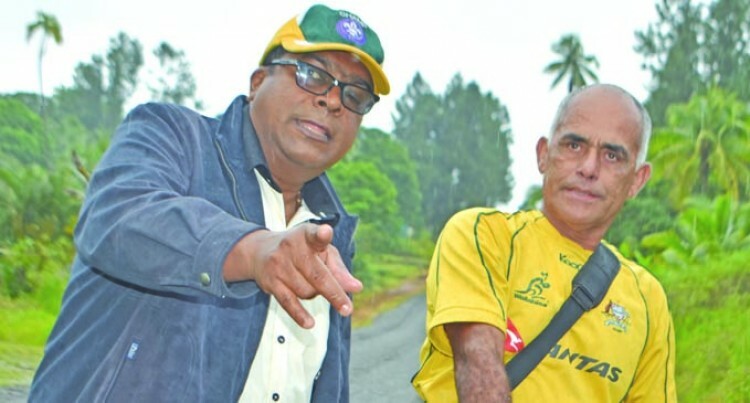 Meanwhile, people living at Nautoloulou settlement in Wainunu, Bua were happy that they were able to raise their concerns with Mr Reddy. 27 families live in Nautoloulou settlement at Cawaloa Road in the district of Wainunu. Mr Reddy said Government would address their road concerns.